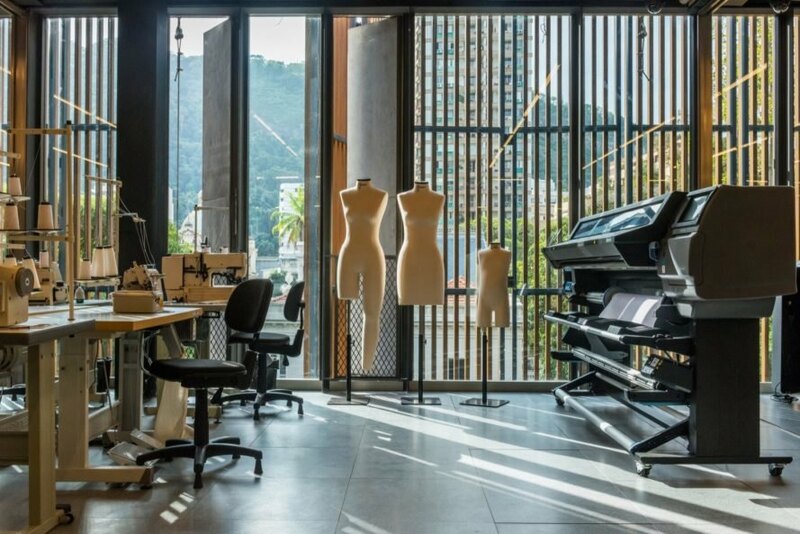 Rio de Janeiro-based architecture firm Atelier77 recently completed CASA FIRJAN, an innovation center that’s been turning heads for its award-winning design and sustainable attributes. 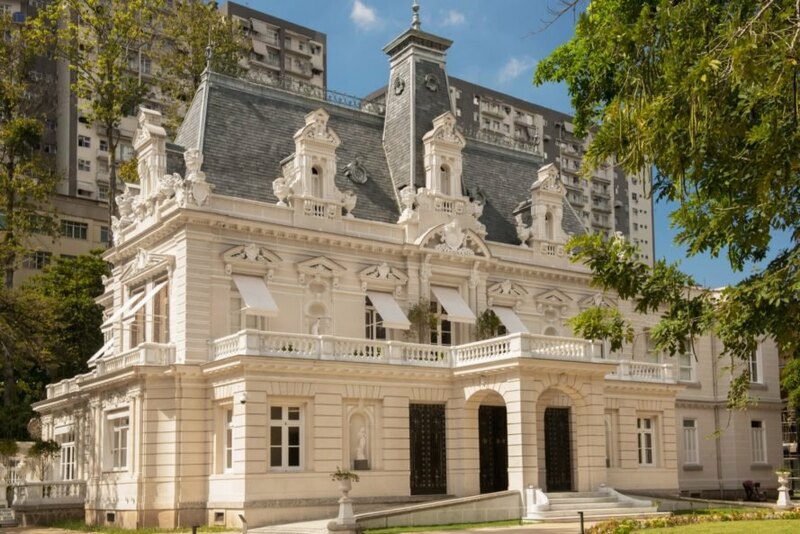 Recently crowned the Best New Building in the Annual Award of the Architect’s Institute of Rio de Janeiro, the project is a contemporary counterpart to the Palacete Linneo de Paula Machado, a historic twentieth-century building with French-inspired architecture. CASA FIRJAN has raised the cultural cachet of the site by providing even more room for educational activities, offices and creative pursuits. Atelier77 won the bid for the design of the CASA FIRJAN in an architectural competition in 2012. 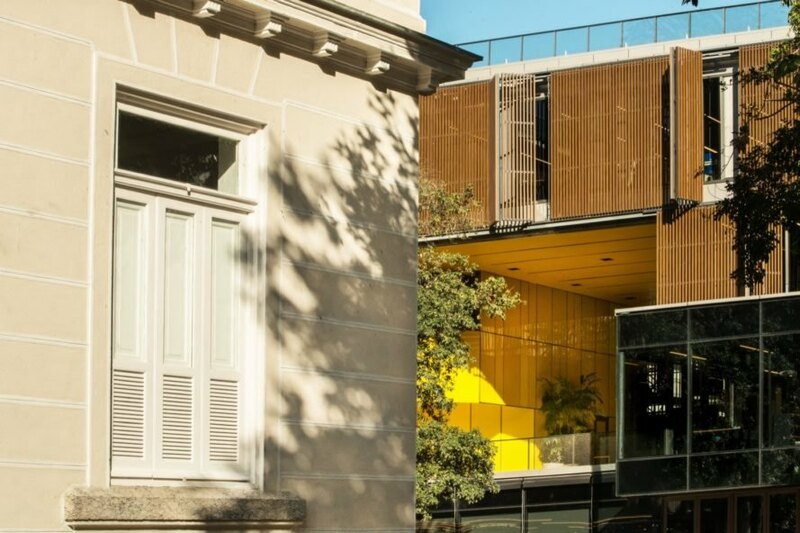 Designed to encourage collaboration and complement the Palacete Linneo de Paula Machado, which has been sensitively restored to serve as a cultural hub, CASA FIRJAN consists of rooms that cater to lectures, business forums, exhibition and a fab lab. The outdoor green space even features an outdoor cinema on the central square. Atelier77 also designed custom furniture for the building. 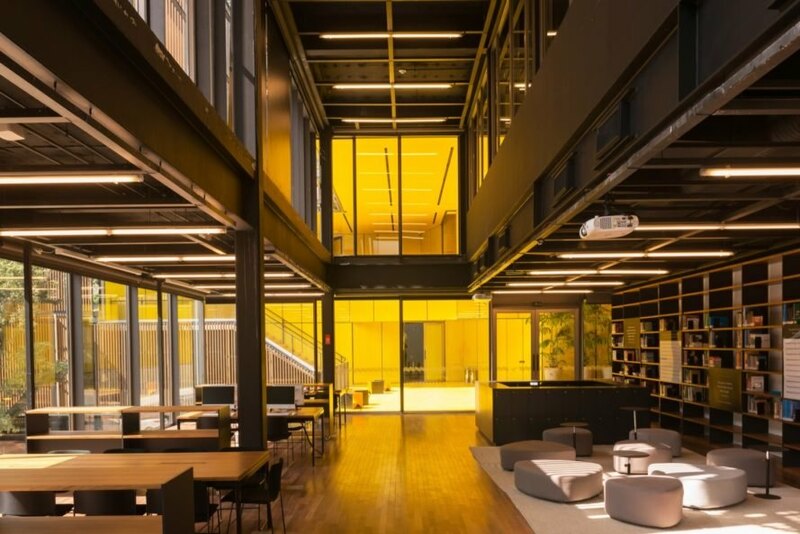 In contrast to the historic building on site, the modern addition is marked by large expanses of glazing that promote transparency as well as an inviting atmosphere. The glass facades are double-glazed and fitted with mobile panels of vertical wood louvers to minimize unwanted solar heat gain while letting in natural light. Natural ventilation and economical air conditioning systems also add to the building’s energy efficiency. In addition, the architects installed solar photovoltaic systems and a rainwater harvesting and reuse system, which have helped the project earn second place in the Saint-Gobain Prize for Architecture – Sustainable Habitat in the ‘Institutional Design’ category. Atelier77 is turning heads with its recent CASA FIRJAN project. The sustainable design has recently been awarded the Best New Building in the Annual Award of the Architect’s Institute of Rio de Janeiro. The project is a modern counterpart to the historic Palacete Linneo de Paula Machado. The bright yellow addition catches attention from far away. Wooden louvers minimize solar heat gain. The building primarily features large expanses of glazing. CASA FIRJAN has become an extension of the cultural hub that is the Palacete Linneo de Paula Machado. The project lies in the bustling Botafogo neighborhood. The center fosters creativity throughout. Many rooms also cater to business endeavors. Atelier77 designed custom furnishings for the building. The historic building and the new structure both contrast with and complement one another. 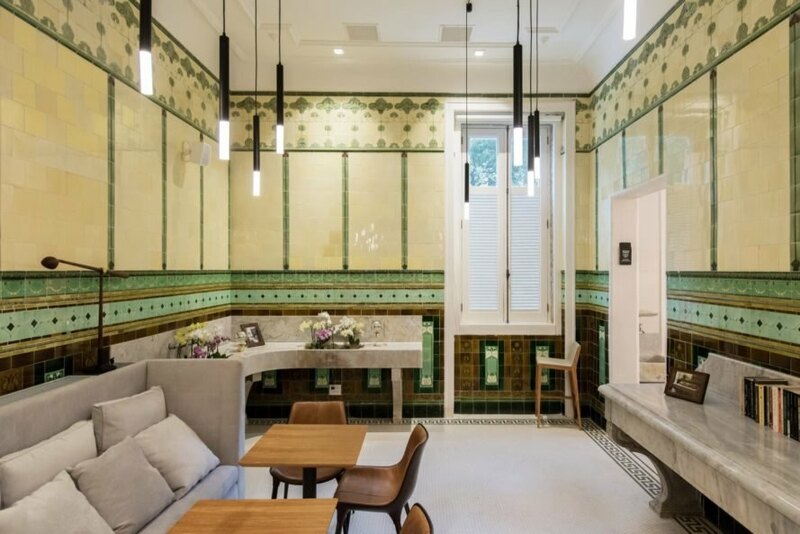 The original building is inspired by French architecture. The ornate detailing of the old building and the modern glass facades of the new structure create a unique visual. CASA FIRJAN relies on natural ventilation, solar power and rainwater harvesting. 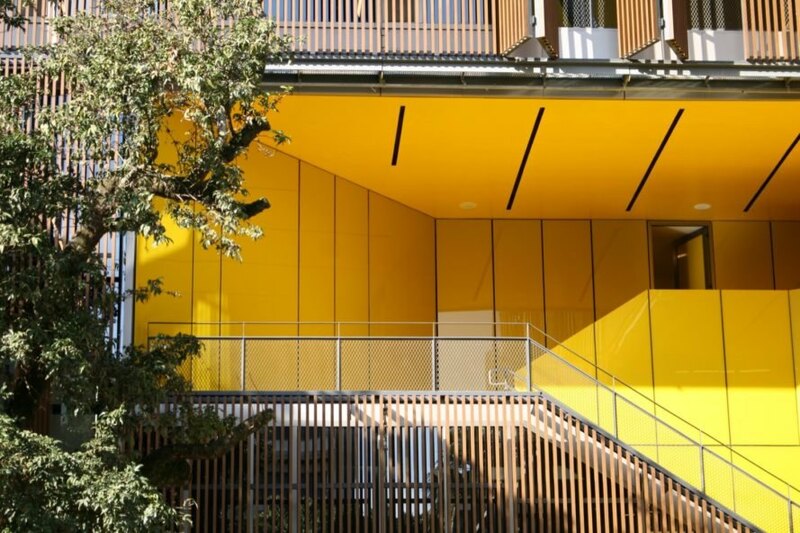 In addition to its title as Best New Building, CASA FIRJAN also earned second place in the Saint-Gobain Prize for Architecture – Sustainable Habitat in the ‘Institutional Design’ category.